Huawei has launched its new smartphone Nova 4 in China. 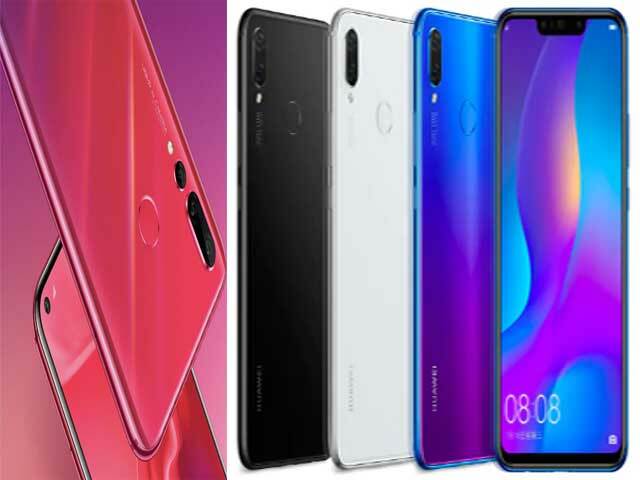 Huawei Nova 4 features a display hole for the front camera and 48-megapixel rear camera. Let's learn all its specifications and price. The variant of Nova 4's 48-megapixel rear camera is priced at CNY 3,399 (about Rs 35,300) and 20-megapixel camera variant and CNY 3,099 (about 32,200 rupees). In China, its pre-orders have started. That will be available for sale from December 27. It has been introduced in Blue, Red, Black, and White color variants. Dual SIM Nova 4 smartphone runs on EMUI 9.0.1 based Android 9.0 Pie. It has a 6.4 inch full HD + (1080x2310 pixels) display, which has an aspect ratio of 19.25: 9. Its screen to body ratio is 86.3%. Huntaway Nowa 4Octakor runs on HiSIlicon Kirin 970, which has Speed 2.36 GHz of four Cortex-A73 core and Speed 1.8 GHz of four Cortex-A53 Core. The phone has 8GB of RAM and 128GB internal storage. The micro SD card has not been given the support. The phone has a triple rear camera setup, which has been introduced in two variants of 48 megapixels and 20 megapixels. The phone has a 48 megapixel Sony IMX586 primary sensor, which has an aperture f / 1.8. Besides the primary sensor, a 16-megapixel ultra-wide angle camera with f / 2.2 aperture and the 2-megapixel camera with f / 2.4 aperture has been given. In the second variant, the primary sensor is 20 megapixels. The remaining 2 cameras are the bean. Single LED flash is given in the camera setup. In the rear camera, there are also features such as EIS, 4K VideoSport, AI Beauty, 3D Cummoji. On the front of the phone is a display hole (4.5mm wide) with a 25-megapixel front camera, its aperture is f / 2.0. For connectivity, features such as 4G VoLTE, Wi-Fi, Bluetooth, GPS, 3.5mm headphone jack, USB Type-C (v2.0) Digital Compass have been provided. Apart from this, the fingerprint sensor and face unlock feature is also provided on the rear panel. To give power to the phone, 3,750mAh battery is available.